Are you a parent of guardian with a girl who loves videogames? Does she have an idea for a game? We’d like her help! 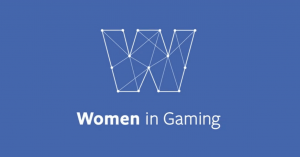 We are collecting questions girls have about how videogames are made for an upcoming series sponsored by Facebook’s Women in Gaming initiative called Girls Level Up: Ask a Developer. In 2015, Laila Shabir and Girls Make Games welcomed Anne Edgar from Artifact Studios into their summer camp in Menlo Park, California to make a short documentary about what video games mean to girls and women. Anne witnessed first hand how encouragement from a teacher, parent, or mentor can make a big difference in who we become. And she saw girls transform themselves from game fans into creative, tenacious, confident video game makers. Our hope is the ASK A DEVELOPER series will give girls all over the world a taste of what it’s like to make a video game, and inspire a new generation of game designers and programmers. GIRLS LEVEL UP is a project from Artifact Studios. Since 2001, the Artifact family has produced social responsibility-focused documentary, and all kinds of videos that celebrate the diversity of the human spirit. Artifact makes interstitials, commercials, and short films for some of the world’s most beloved entertainment brands from Bethesda Softworks, Marvel, Pixar, Ubisoft, and The Walt Disney Company. Artifact’s award-winning documentaries appear on Discovery, HBO, and PBS, appear in film festivals around the world and have garnered support from organizations such as the Sundance Institute, The California Council for the Humanities, ITVS, and the Museum Of Modern Art in New York.